A Provisional State Council was immediately created, to be replaced within a year by the seating of the first Israeli parliament, the Knesset, on the Jewish holiday of Tu B’Shvat, Feb. 14, 1949. The function of the Knesset, like other institutions within democratic systems around the world, is to make political decisions for the nation. But there is another layer to democracies, a layer that may not get as much attention or funding, but that serves a very important role: non-government organizations (NGOs). It can be argued that NGOs are in some ways more effective than the governments themselves when it comes to implementing policy. One area where that can be seen is when it comes to relations among Israelis, Palestinians and Jordanians. Some history first: If 90 years ago someone had said that England, France and Germany would become the strongest of allies, with integrated economies, that person would have been laughed out of the room. Forty years later that impossible vision become a reality. It was made possible because a lesson of history was not lost; the mistake made after World War I of severely punishing Germany through the Treaty of Versailles was not repeated after World War II. Rather, Germany was allowed to rebuild, both economically and politically. Additionally, through the European Recovery Program, better known as the Marshall Plan, the countries of Europe moved toward integration. With the exception of the Balkan wars following the breakup of Yugoslavia, that integration has led to a period of peace in Europe that has not been seen for centuries. One of the key ingredients to that success has been that nations were pushed to work with each other in various endeavors and formats, and in the process relationships were forged. That lesson has been lost on successive U.S. administrations regarding the Middle East. Billions and billions of taxpayer dollars — much of it directed toward military aid — have been invested in the separate economies of Egypt, Israel and Jordan. While these dollars were intended to bolster the Egyptian-Israeli and Jordanian-Israeli peace treaties of 1979 and 1994, they largely failed to move relations among the countries beyond a cold peace. Neither aid for separate economies, nor military aid, strengthens peace. The weakening of these two peace treaties in the wake of the Arab Spring has happened, in large part, because those billions of dollars in U.S. aid did nothing to bring Israelis and their Jordanian and Egyptian neighbors together. The peace treaties between Israel and Egypt, and Israel and Jordan, were between governments and not people. Israelis, Jordanians and Egyptians simply don’t know each other enough. The most successful ways that Israelis, Palestinians and Jordanians do, however, get to know each other are through the scores and scores of people-to-people NGOs in the region, which bring individuals together from across borders to forge personal and professional relationships. One of those NGOs is Green Zionist Alliance sister organization the Arava Institute for Environmental Studies, located here in Kibbutz Ketura in the southern Arava desert of Israel. Established in 1996, the Arava Institute is the home of an academic program of Israeli, Palestinian, Jordanian, North American and other college students from around the world. The raison d’être of the institute is to create a cadre of environmental leaders for the region. Additionally, the institute is the home of a very active research department involved in environmental research with Israelis, Palestinians, Jordanians and Moroccans. These activities include cutting-edge research in solar and hydrogen technologies, the development of sustainable agriculture in environments of high salinity and very limited water, and the seeking of solutions to transboundary water issues. The institute also is involved in a seed-exchange program with Jordanian and Moroccan organizations, reminding us that the sharing of knowledge is a two-way street. With all of these technologies and projects having application beyond the borders of Israel, a few years ago the Arava Institute was approached by MASHAV, Israel’s Agency for International Development Cooperation, akin to the U.S. Agency for International Development. MASHAV was created in 1957 by then-Minister of Foreign Affairs Golda Meir. The goal of MASHAV is to share Israel’s know-how with the developing world. Arava is now involved with work in Kenya that provides training in rainwater harvesting and irrigation to farmers in the Sauri village district. MASHAV also has brought representatives from Brazil, China, Kenya, India, Nigeria and Samoa to the Arava Institute to learn about sustainable agriculture in arid climates. Arava alumni have taken the environmental knowledge they gained at the institute and they have become involved with the establishment of environmental projects in Israel, the Palestinian Authority and Jordan. These include Israeli and Palestinian Arava alumni building bio-digesters in Palestinian communities and working on river-restoration activities with rivers that start in the Palestinian Authority and make their way into Israel. An Arava alum is in charge of outreach educational programming for Al Quds University, leading science education for Palestinian high-school pupils. And Jordanian alumni have created a new environmental NGO, Green Echo, to nurture environmental projects in Amman, and yet another is involved with solar technology in Jordan. The long-term success of these Arava projects is dependent to a number of factors. The first is the environment of the Arava desert. All of the Arava Institute’s participants bring their strong individual national, cultural and religious identities with them to the program, of course, and difficult political issues can’t be avoided with such a constellation of young leaders. Yet the Arava environment acts as the level playing field, shared experience and common concern. Through the ebb and flow of peace negotiations, the on-again, off-again violence and war, the environment is a constant that the students share. Reduced to one of its core components, this Mideast conflict is about land — more precisely, the borders that nations draw on the land. When the land is looked upon solely as a geo-political instrument, it will be viewed as one of the major stumbling blocks to any reconciliation efforts between the various nations and peoples in the region. However, when the land is viewed from an environmental perspective — which does not know from political borders, walls and fences — a new framework opens up, and we are invited to not be afraid of each other. Siting the program on Kibbutz Ketura also plays an important role in the Arava Institute’s success. Students live in special dormitories built on the kibbutz for the Arava Institute, but eat their meals in the communal dining room of the kibbutz and are "adopted" by kibbutz families. 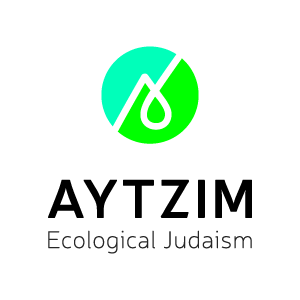 The kibbutz, a community by intent, provides an important model of sharing and cooperation on the micro level with clear implications for the peace and the environment on the macro level. Students live in the isolation of the desert while in the program. There are no big-city distractions, and so they are forced to create community among themselves. Haya, a Palestinian student, volunteered to work in one of Ketura’s children’s homes. “In the first meeting I spent a nice two hours with them," Haya told me. "First I introduced myself, and when they found out that I am Muslim they said, ‘We don’t want to see you,’ and asked, ‘Are you going to throw stones at us?’ But when they saw that I was not really different from them, they asked me to play and draw pictures with them. "Do not destroy trees by putting an ax to them, because you can eat their fruit. Do not cut them down. Are the field's trees people, that you should besiege them?" Israel is the first country to plan a nationwide electric-car network.